MoI Issues Arrest Warrant for IAG Commander | . :: Elections 2014 ::. The Afghan Ministry of Interior (MoI) annouced on Monday that an arrest warrant has been issued for Hakim Shujaee, the commander of an Illegal Armed Group (IAG) in central Urozgan province. "The Ministry of Interior issued an arrest warrant for Hakim Shujaee and his gang members, who are accused of harassing the residents of Urozgan province," Siddiq Siddiqi, spokesman for the Moi, told TOLOnews. The warrant was issued after a number of residents of the Khas district of Urozgan registered complaints of harassment and torture against Mr. Shujaee and his gang. The complaints reported thatarmed men belonging to Shujaee's IAG were launching frequent attacks on local residents, resulting in the deaths of two children and injuries of dozens more. A number of Urozgan representatives in the National Assembly also confirmed the allegations made against Mr. Shujaee. "This guy is a murderer. 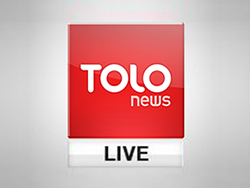 He has looted our home, burnt down houses and gardens and has taken away bikes and bicycles of the residents by force," MP Obidullah Barikzi told TOLOnews. "Shujaee is a cruel person. Unfortunately, Mr. Khalili always protects him," Senator Amanulla Azimi told TOLOnews, referring to suspicions of Presiden Karzai's Second Vice President, Mohammad Karim Khalili, providing support for Mr. Shujaee and the members of his IAG. While no hard evidence of a connection between Mr. Khalili and Mr. Shujaee has been made known, speculations of an arrangement between them are common, often citing the fact that the two men are both Hazara. The residents of the Khas district voiced their complaints against Mr. Shujaee at the Parliamentary Complaints Commission (PCC) on Tuesday, claiming that he was operating with the help of the Afghan Local Police (ALP). "They killed two of my sons during the month of Ramadan," one of Khas residents told the MPs of the PCC on Tuesday. "If the government does not act, we will take up arms and fight against them," warned another resident. Previously, the MoI assured local residents that Shuajee would be arrested, but so far no action has been taken against him or his band of armed outlaws. According to MoI officials, part of the difficulty in pursuing Mr. Shujaee is that while his gang is primarily active in Urozgan, he is originally from Ghazni and is known to travel between the two provinces. Upon hearing the complaints at the PCC on Tuesday, however, Mujtaba Patang, the Interior Minister, did not hesitate in issuing an arrest warrant for Shujaee. "Shuajee is an illegal armed commander, I have ordered his arrest and he will be produced in front of the judicial organs soon after his detention," assured Mr. Patang. The Interior minister also took the opportunity to assure residents that the ALP of Khas were not, in fact, in cahoots with Shuajee and his IAG. However, several residents were not satisfied with the explanation given by Mr. Patang regarding the non-involvement of the ALP. According to numerous reports from reisdents, Shujaee and his gang members are in possession of police weapons and vehicles. Last year, Mr. Patang issued an arrest warrant for a local IAG commander in southwestern Urozgan province, following complaints from local residents about cruelty and abuse similar to those that have been launched against Shujaee and his gang.